After having a near-nervous breakdown about my 30th birthday, I kept debating if I should even celebrate it or not. 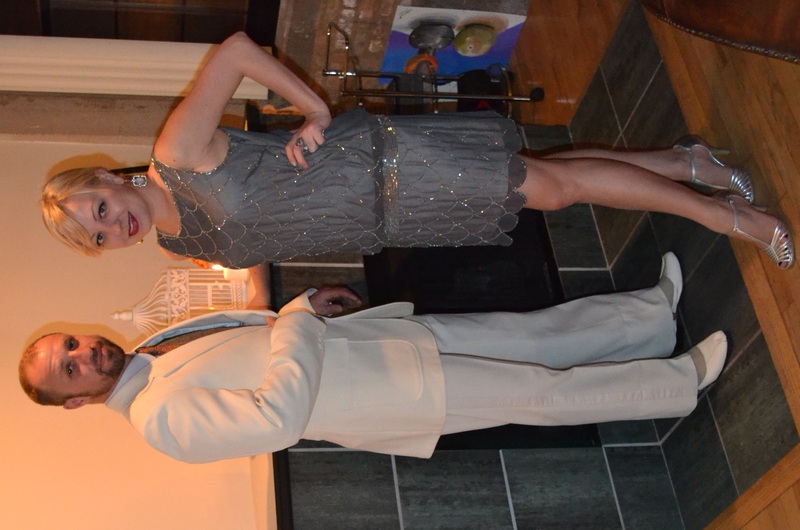 I’d been thinking about getting a suite for a Bulls game for awhile, but then I started getting obsessed with the upcoming Great Gatsby movie and eventually decided I wanted to throw a roaring 20s bash myself. I struggled for awhile to find the right venue for my party at the right budget. I didn’t want to host the party at a regular club or bar, but a private room at a bar or a traditional venue rental were way to expensive. Somehow, I ended up on Airbnb and found several private lofts up for rent on the site. If you’re not familiar with Airbnb, it’s a website where tourists can rent a room or apartment from residents of the city they’re visiting, in place of a hotel. Luckily, after reaching out to a few loft owners, I found the perfect space and the owners were willing to rent me their apartment for an event. 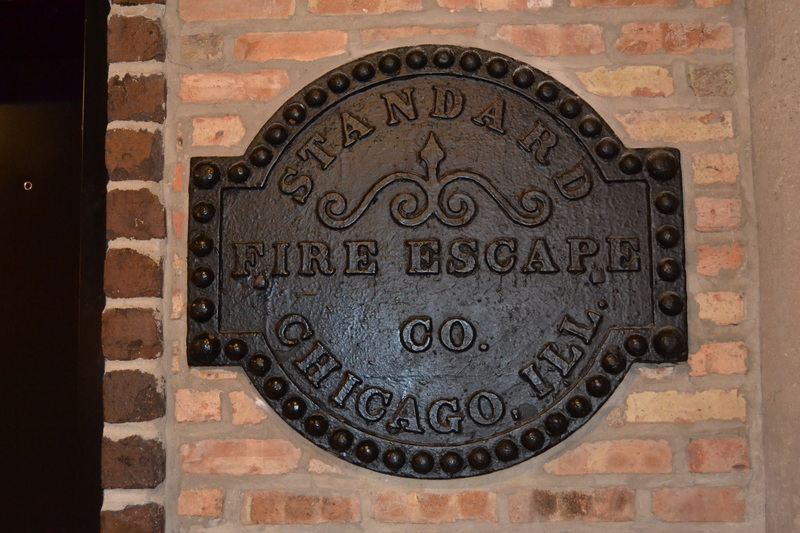 The loft was located on the near West side, and I wish I could live there. 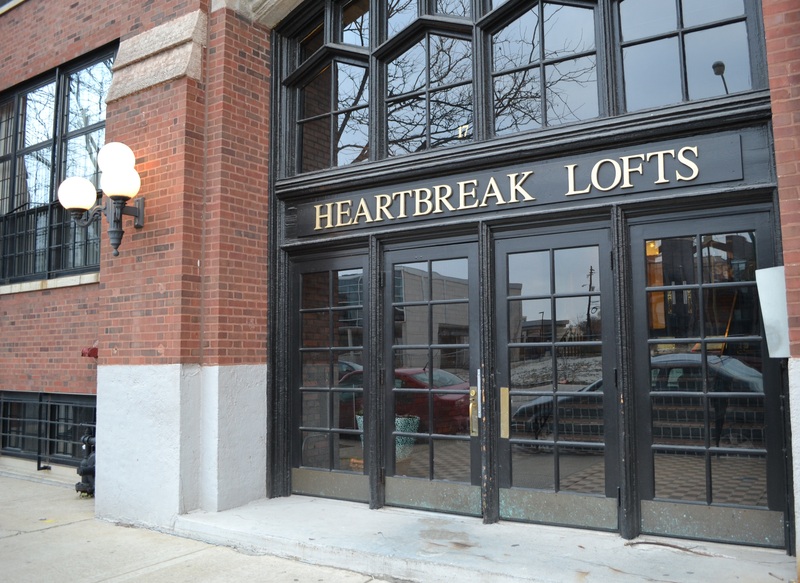 It was in a beautiful vintage-ey building called Heartbreak Lofts that had a gorgeous entrance, old cast iron details and brick walls. The unit itself had high ceilings, large windows and plenty of open space. I shocked myself by actually beginning to plan my party over one month in advance. I ended up finding a lot of my decorations at HomeGoods, possible my favorite store. 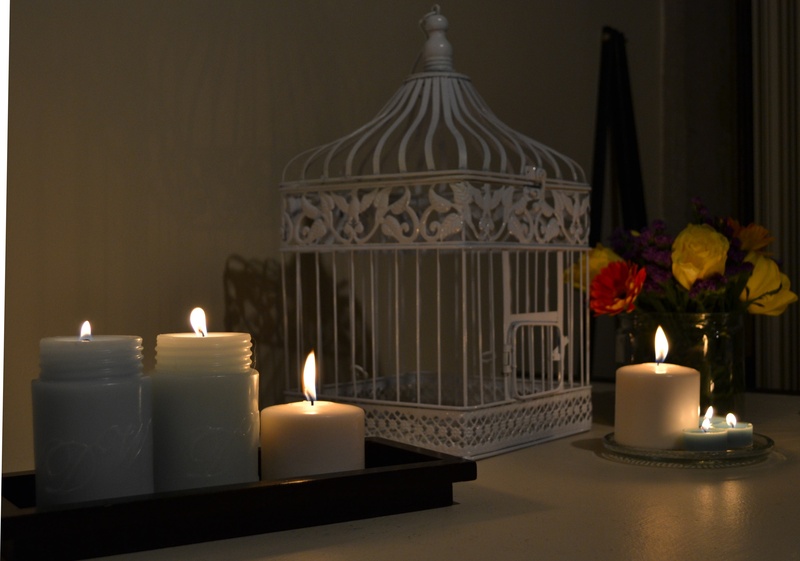 That’s where I scooped up a white metal bird cage, mason jars, mason jar-shaped candles and very cool glassware. But some equally great finds were actually from Party City (where I had my first job), which I haven’t been to in quite a while. They had some amazing premium plastic-ware. I was very pleasantly surprised by their classy white and gold-rimmed plastic plates, and I found the best ornate plastic forks and knives. And then I also found a green felt blackjack table cover in the back that I had to get. For a few finishing touches, I went to the Dollar Store at the recommendation of my birthday twin, Erika. I think the Dollar Store is my new favorite store. They had really nice plastic crystal-looking platters for just one dollar each. 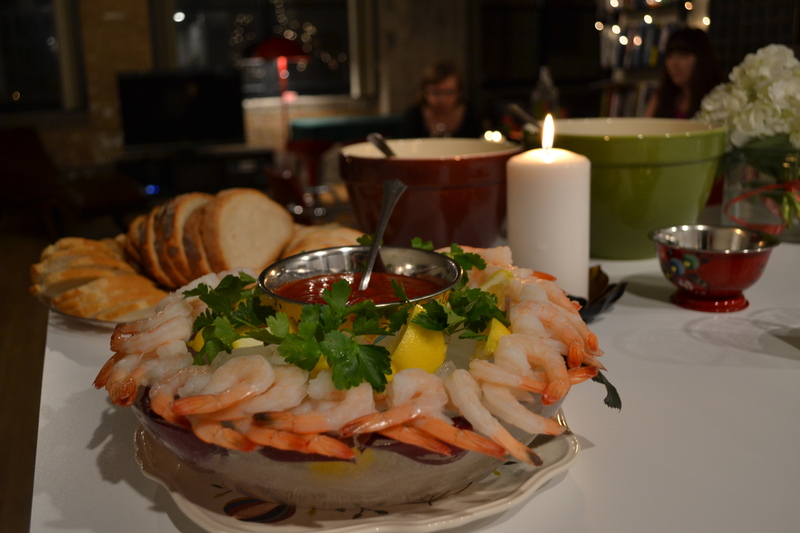 They also had plastic ware and some perfectly decent glassware (bowls, candle holders, etc.)…. for just one dollar! To top things off, I grabbed a few bouquets of fresh flowers the day of the party. Although I was mildly heartbroken that the shop I went to didn’t have lilies, the bouquets turned out very pretty. Adam forced me to rent actual glasses, as opposed to plastic ones, to class up the joint. And while they did bring a certain polish to the venue, the transport and rental of those damn glasses was the bane of my existence that weekend! 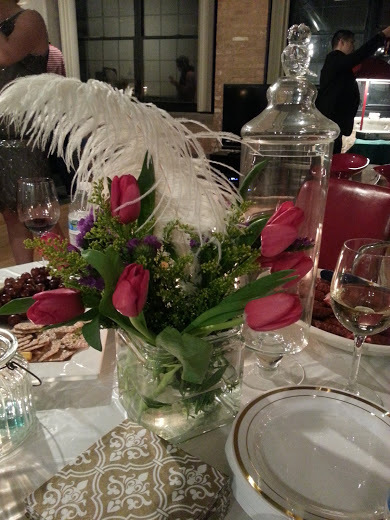 If, however, you are in need of any party supply rentals, check out Tablescapes in Chicago. 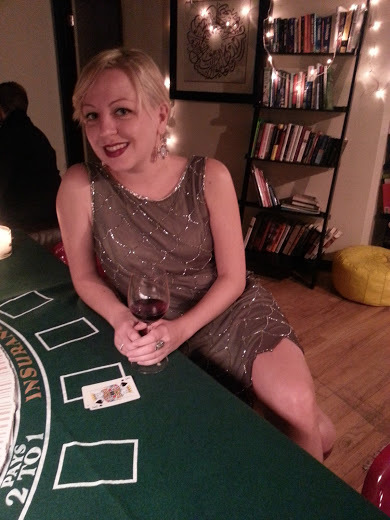 I ended up finding a designer online who has created several Gatsby-esque dresses just a few days before the party. I originally came across Adrianna Papell on Nordstrom’s website, so I headed there just two days before my party to get the dress. When the sales rep said they were all out of the dresses I wanted, I almost burst into tears right there. Luckily, I tried Macy’s the following day during lunch, and after nearly missing an entire floor of dresses, found one last Adrianna Papell dress that was perfect. Adam actually rented his outfit from Lost Eras in Chicago, which had quite the extensive collection of costumes. Would definitely recommend them if you’re ever looking for an outfit for a themed party and don’t want to buy something. I left the food up to Adam, except for the cheese, of course, which I had to hand pick (including my new fave brie cheese with walnuts from Mariano’s). Adam whipped up chicken & beef skewers and even created a homemade ice bowl, complete with rose petals, for the shrimp cocktails. But his true masterpiece was the six-layer cake that he slaved over. I wanted to have a lot of fun with the drink menu, so I went a little crazy at Binny’s. I wanted to make sure I had all the ingredients to make classic Gatsby-esque drinks like Mint Juleps, Sidecars and Old Fashioned. Unfortunately, since these are pretty strong drinks mostly featuring bourbon, I wasn’t able to drink them myself. But a few guests did partake. Also, when I saw some lovely bottles of absinthe, I couldn’t resist. Unfortunately, absinthe tastes like licorice, so I didn’t end up drinking that either. One thing I most certainly did drink? Rumchata! Also, in addition to the several bottles of champagne and prosecco I bought, I collected several more bottles from guests. So if anyone wants to dip into a bottle, come on over, I’ve got plenty left at my place! Overall, I’d say the party was a success. 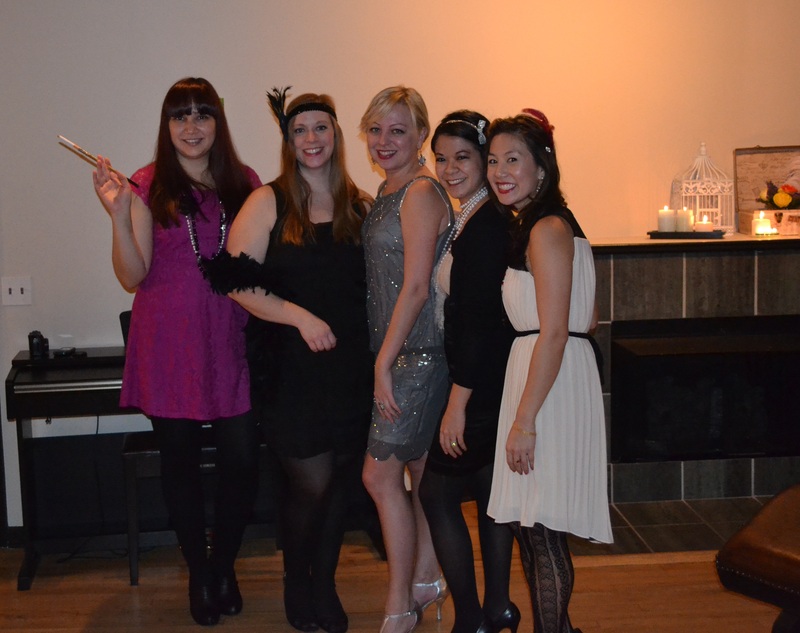 I was thrilled to see so many people dress up in the Gatsby theme, and it was a blast to see my childhood friends, my family, my old & new co-workers, and so many others come out. Although I didn’t have enough time to create the perfect playlist I was planning, I ended up just mixing it up with some rap music (yes, I played A$AP Rocky’s “F*ckin Problems” several times), pop hits, salsa/bachata (can’t have a party without some dancing!) and even some old-school Parisian-inspired songs (had to slow it down for a minute). And speaking of music, I was lucky enough to be serenaded by the crowd with three renditions of happy birthday, each in a different language – English, Spanish (Las Mananitas) and Polish (Sto Lat)! Thanks, Katie! I’ll look into that.